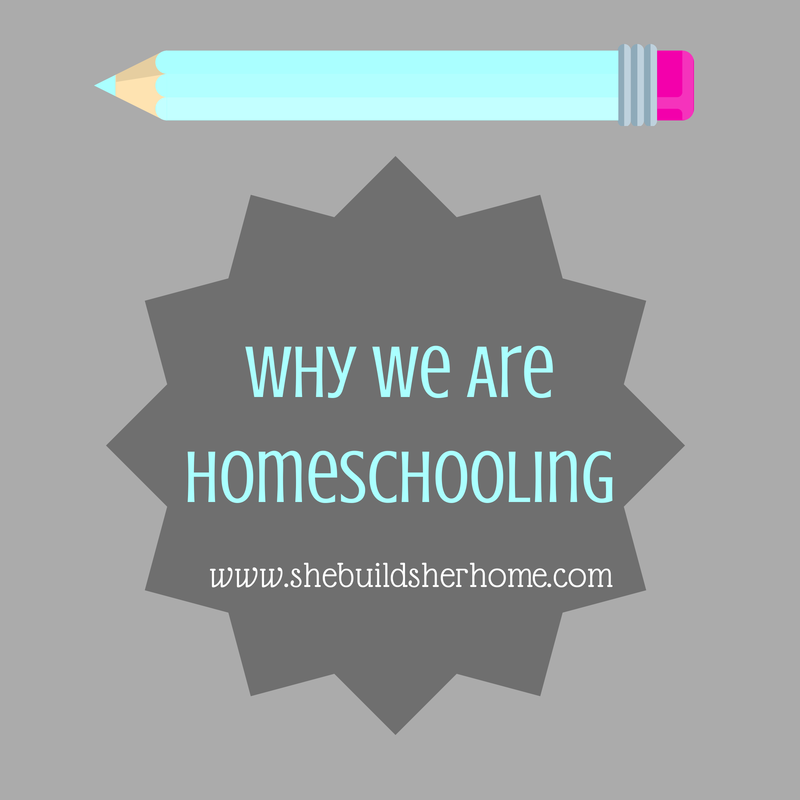 Today I'm sharing the "why" portion of our choice to homeschool our kids in the future. If you haven't read my "disclaimer" yet, please do so here. In summary, we feel that homeschooling is right for our family and don't want anyone to take offense to that, or think that we take offense to any other form of schooling. We truly believe there is no one size fits all method for schooling. We have many reasons that we have decided to homeschool once our kids are school-aged, and these are all really personal reasons that we have been convicted of. I would assume that each family has their own reasons for homeschooling. Many may be the same, but some may be very different! Spiritual growth & guidance. This is our biggest reason. We feel that we will be most able to influence and guide our children spiritually if we are schooling them at home. This does not necessarily have anything to do with the actual schooling portion of homeschooling, but more to do with the fact that they wouldn't be away from us for 7+ hours a day. I know that this could easily be perceived as us being "helicopter parents" or smothering them, sheltering them, or something else. But what it is for us is that we believe that being in the world, away from anything having to do with the Bible for that long could impact them negatively. I know this isn't always the case, but it's not something that we want to take a chance on. I also know that there are Christian homeschooled kids who do not walk with the Lord. We just feel like this is the best choice for this reason. In Deuteronomy 6:5-7 (NCV) it says "Love the Lord your God with all your heart, all your soul, and all your strength. Always remember these commands I give you today. Teach them to your children, and talk about them when you sit at home and when you walk along the road, when you lie down and when you get up." We feel that the best way we can teach our children God's commands and how to remember and follow them, is to be with them. If we sent them to school each day, more than half of their waking hours would be spent under other people's guidance and influence. How could we know if they were following God's commands? Standing up for their beliefs? Making the right choices? If you've ever asked a 6 year old what they did that day, 90% of the time the answer is "nothing". I don't want to rely on a take home folder with a green, yellow or red stamp to try to tell me whether my child is walking with the Lord. Proverbs 29:17 (NLT) says "Discipline your children, and they will give you peace of mind and will make your heart glad." We want to follow the Lord's command to be faithful in disciplining (and guiding!) our children. If they are in a classroom with 25 other children, the teacher isn't always going to know if they say something unkind, or do something they are not supposed to do. Yes, I know that things can, will and do happen in our own homes that we don't know about as well, but this give us a better chance of knowing and being able to correct their behavior and hold them accountable. Social influence. I know that the biggest misconception about homeschooled kids is that they are "weird", "awkward" or "losers". I have found this to be so far from the truth, as I know a lot of really awesome homeschooled kids. My personal theory on this is that there are a lot of things that can influence how "weird" or "normal" a kid is. Our kids are not sheltered by any means. They have a lot of friends, are out in public often, participate in activities outside of the home (and no, they are not all church related), etc. They are not these kids who are sheltered from the outside world and don't know how to interact with other humans. Not at all! I also think that there are "weird" or "awkward" kids anywhere (please realize I don't think there is a "normal" when it comes to kids, which is why all of these things are in quotes...terms like weird and awkward are all relative when it comes to kids). There are tons of them in any kind of school that you go into as well. So it's unfair to label homeschooled kids with these terms or associations. 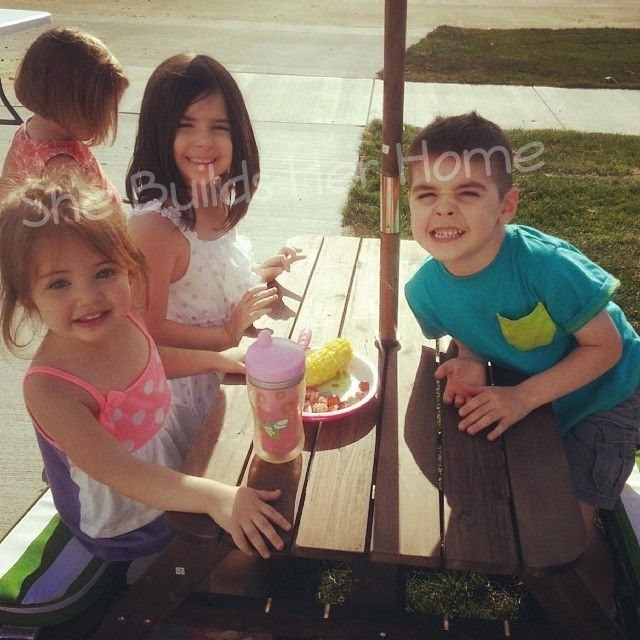 With all that being said, I would like to have some idea of who my kids are hanging out with. Again, this could be overprotective or "helicopter parenting", but I know from my own experience as a child and a teacher that parents don't know a lot of what goes on in kids social lives, as early as toddlerhood and preschool. As a child, I did my fair share of things that my parents had no clue about (and probably wouldn't have approved of), so I know what goes on. I'm not naive. And I realize that they aren't going to tell me every single thing about their live forever, and I won't know everything that goes on in their interactions. But I would like to keep tabs on it in the best way I can (without "smothering" them) in the younger years. As a teacher, I watched plenty of very young children deceive their parents into thinking they were the angel child, the sweet kid who was friends with everyone, when in reality they were the class bully, or the "mean girl". And their parents had no clue, because...why would they?! (Of course I informed parents when their children crossed boundaries and were unkind to other kids, but that is besides the point). Majority of the time, these were social "pressures". Pressures to fit in, to be cool, to get along with another kid in the class, etc. I don't want my children to feel like they have to fit in and be someone they are not. Specifically, I don't want my kids to be unkind to other people to be "cool" and most importantly, I don't want them to identify more with those children or the world, than they do with Christ. See? She's just a totally normal kid with totally normal friends (who are also homeschooled)! I like my kids. Can I be really selfish for one of these? 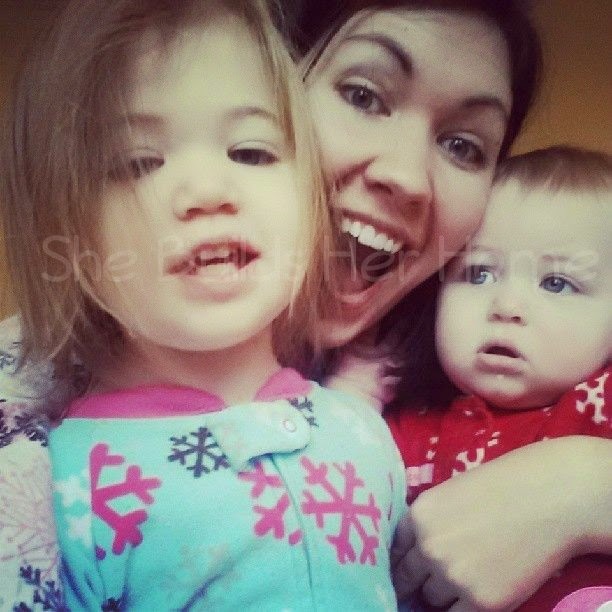 I really like my kids and want to spend all day with them! I really do! I don't really get sick of them, and teaching them and being around them brings me great joy! No, I'm not saying that if you send your kids to school you don't like them, don't hear what I'm not saying...er, read what I'm not writing? I'm just saying that this is honestly a reason why I'm excited about homeschooling! I mean, look at her! We have a pretty good time together. I love spending my days with these kids! Flexibility. While I do plan to stick to somewhat of a regular schedule with schooling, I love that there is flexibility in it. If we have something else going on in our lives, we can push homeschooling to the afternoon or evening. Or we can skip a day and do double one day. Or make it up on a Saturday, or in the summer, or whatever. There are many possibilities that allow life to happen! I especially love this since we are a family in ministry. If there is an opportunity to do ministry with my kids, it would be easier to jump on that since we can move school around. If there is someone in need, I can work it out to take them a meal, clean their house or take care of their kids. And I can probably school WHILE I do that (cooking dinner together=measuring, counting, and lots of other skills!) Maybe we will have a chance to go on a trip with daddy, either missions or a conference, and we could bring school with us, or take a break that week and make it up later. There are lots of possibilities which fit in well for our family! I do not plan to make a habit of taking breaks and taking days off, but it is nice to know that we can when we need to. Academics. I know that there are a good number of homeschooling families that honestly don't care as much about education. We are not one of those families. For us it is very important! We want our children to be intelligent and well educated. As a former teacher, I am so excited about the opportunity to meet each of my children's specific learning needs. Children learn differently, and there are so many incredible teachers out there who work very hard to teach our kids in the schools. But there are still kids who fall through the cracks. There are still kids whose learning styles are not being met and therefore they are not learning to their potential! I know that teaching my children at home gives them an advantage in this area because I know them best-I can find out the best way to teach them based on how they learn, what they are interested in, what kinds of external factors affect their learning, etc. I am extremely excited about putting this into practice! I'm also super excited about coming up with lesson plans, doing calendar time, making projects and taking field trips. What can I say?! Once a teacher always a teacher! Other notable reasons why we are homeschooling: *I can stay in my pajamas all day. Should I stop there? Are you a homeschooling, public schooling, private schooling, or other form of schooling family? What led you to the type of schooling that you do or plan to do?! Honestly I used to be 100% against homeschooling. My reasoning was 1) the area I went to school in was VERY nice. Hardly anyone was homeschooled or went to private school because the public schools were that good. I assumed schools were like that everywhere. 2) the one homeschool family I knew growing up was strange. And I don't say that just to be ugly or rude...they were strange. Trust me. 3) Jonathan was a college recruiter and had to have special training on how to handle homeschool kids...I'm not even kidding. Hysterical. And, 4) is my biggest reason. Most of the homeschool parents in the area I live in now only have a high school diploma and I am HUGE on a college education. In my mind, and I don't say this to be petty or rude, I think a college educated teacher (which you are! ), a teacher specifically trained to teach would do a far better job in teaching. I know a lot do not share those opinions but they were my initial reasoning against it. That being said, Jonathan and I are now sort of considering homeschool. Jonathan's sister homeschools but she has a early education teaching degree and taught for over 5 years in the private school system. And his brother in law is a pastor so he has a BA and an MA degree. They also do co-op classes. My dream school for Georgia would be a university school but there are none in our area. We are considering it because I want Georgia to be challenged in school. She's very smart (I know I'm her mom but she is!) and I don't want her to get board or left out because she's already mastered skills and the teacher doesn't have time to work with her. Social influence is also big with me since I worked for two years in public school...some of those kids have potty mouths and that is not OK at our house. (Plus, I was a teacher for 5 years, Jonathan was a teacher for 5 years, and is now a principal, my MIL was a preschool teacher for 20 years, and my mom was a first grade teacher for 20 years so I think we have enough educators in our family to feel comfortable homeschooling). 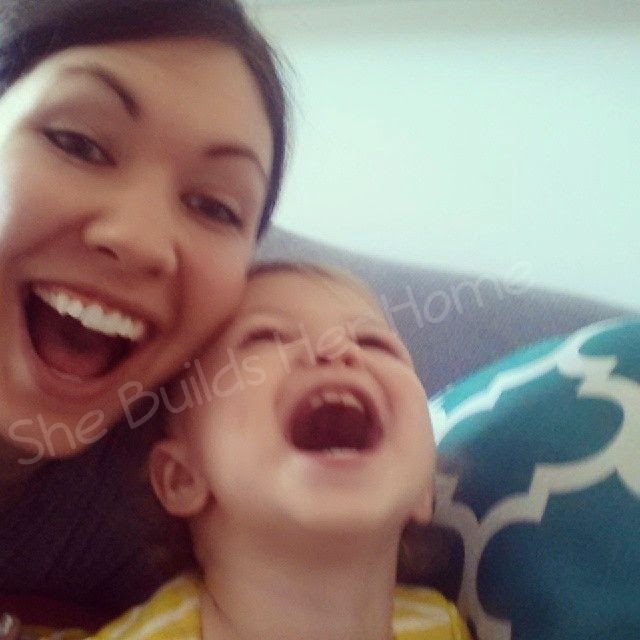 The main reason I'm pretty sure we will not do homeschool is because of my "me" time and I know that is selfish but I am the type of wife/mom that is a better wife/mom when I have alone time. I just cannot function being "on" all the time if that makes sense. Ok, longest post ever. Sorry for any typos! I totally understand that need for "me time." It isn't that I get "sick of my kids"... it's just that I get mentally drained. I think it is part of my introvert personality. I need alone time and I actually like to be completely alone for a while. God made us all with different personalities and convictions. I think homeschooling will he great for you guys, Natalie, and you don't have to justify it to anyone! God has trusted you to do what's best for your family! This makes me want to home school. Well I always have wanted to, but I don't think it will be possible for us and I don't have your awesome background (though I do have many degrees). I'm excited to read more about your plans! I agree with all of your reasons! The homeschooler "awkward" or "weird" stereotype bothers me a lot - I knew a lot of homeschoolers (most of my friends) and there are very few I would describe as weird. Like you said, I think there are "weird" kids on any school setting, but when people come across homeschoolers who are different, they automatically blame it on homeschooling, which isn't really fair. Also, as a side note, I know Emily and Rachel mentioned having an education/teaching degree as being better for homeschooling - and it's definitely helpful! But I just wanted to say that in studies, homeschoolers tend to do better on standardized tests, and the parents' level of education wasn't a significant factor in how well their kids did academically. One on one teaching time is a powerful thing.